Healthiest Vegetables have always been an essential part of our diet. They are very helpful in gaining and losing weight the right way. Being the rich source of fiber, vitamins and minerals, they are prescribed by dieticians and doctors for higher fitness levels. 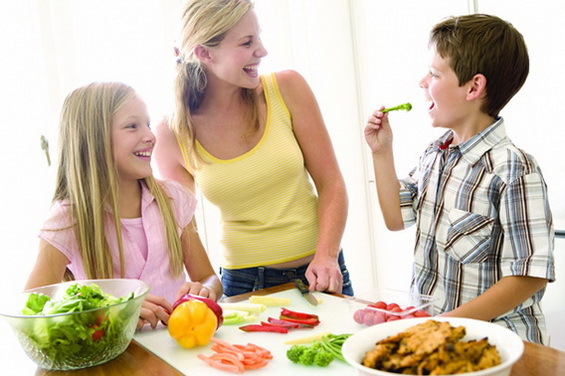 Experts always advice healthy intake of vegetables in regular diet to stay fit. Researchers report that serving of eight vegetables to your daily diet increases the immunity and protects you against harmful diseases like heart problems, diabetes and cancer. Here are list of top 10 best vegetables for a healthy diet. Although considered as fruit but is mostly used as vegetable. It helps to fight cancer due to the presence of lycopene and red orbs. Vitamin A and K keeps a check on the blood pressure levels. Being a rich source of Vitamin B and folic acid, it serves as one of the best foods for pregnant women. It keeps away the problem in uteri tube. It also contains nutrients like Vitamin C, K, Fiber, potassium and omega 3 fatty acids. Carrots are healthy not only for the body but also for skin, hair and eyes. They are one of the best sources of pro-vitamin and carotenes. Carrot consists of Vitamin A and C which helps to improve vision and sugar levels. This vegetable effectively fights against diseases like cancers affecting stomach, rectal and lungs. Broccoli is rich in folate, beta-carotene and Vitamin C which are known to fight against cold and flu. Being rich in fiber, Vitamin B6 and folate it is another beneficial vegetable for pregnant women. It enhances the heart health. The low sodium content makes it best choice for efficient working of large intestine. Sweet Potatoes help in achieving a good digestive system. It is great source of Vitamin C, A, manganese, iron and fiber making it a good energy booster. It is healthy vegetable for heart. It contains lycopene and folic acids. It also lowers down the risk of cancer. Eggplants prevent the risk of stroke and dementia. It contains a unique antioxidant called Nasunin that helps in protecting brain cells against any damage. Lesser calories, potassium and fiber present make it a healthy food for the heart. We are well aware that green leafy vegetables are good for health. Spinach is one of them. The 13 flavonoid compounds increases the muscles power and keeps away from heart diseases, osteoporosis and cancer. Onions keep you healthy in many ways. They increase immunity and have a better effect on gastrointestinal health. Peptide which is usually called GPCS keeps a check on the calcium level in the body. Previous: Does Acai Berry Help You Lose Weight?